Tuesday and Wednesday were long days. 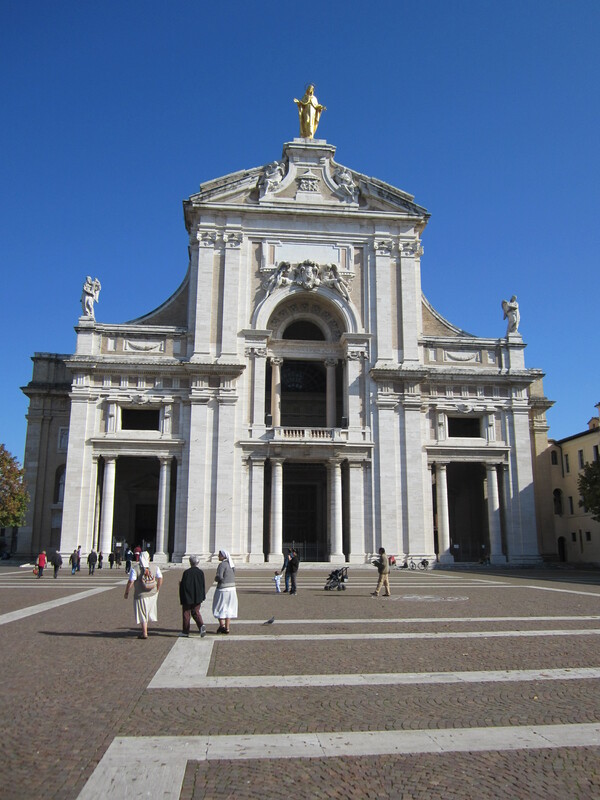 We traveled to Assisi on Tuesday (departed our Hotel at 7 AM and returned to our Hotel after 11 PM). 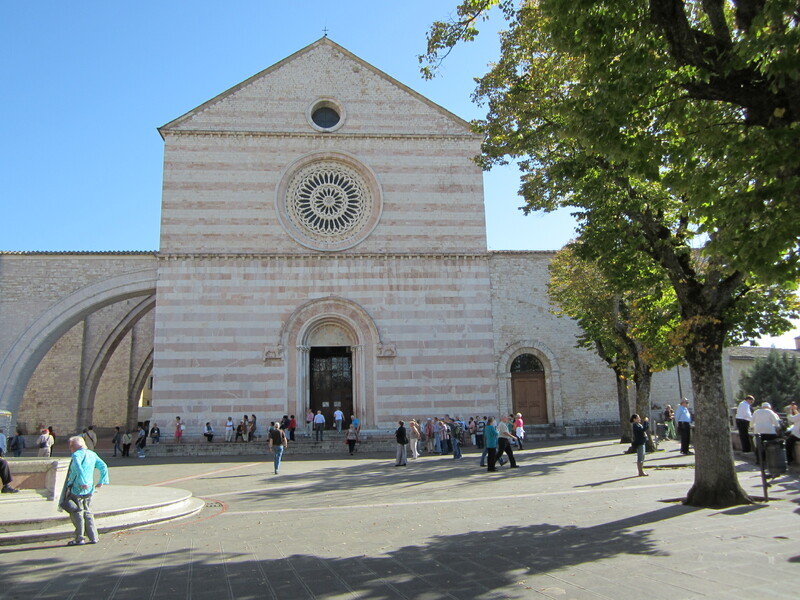 Assisi is a beautiful town. We were not permitted to photograph the interior of the Churches. 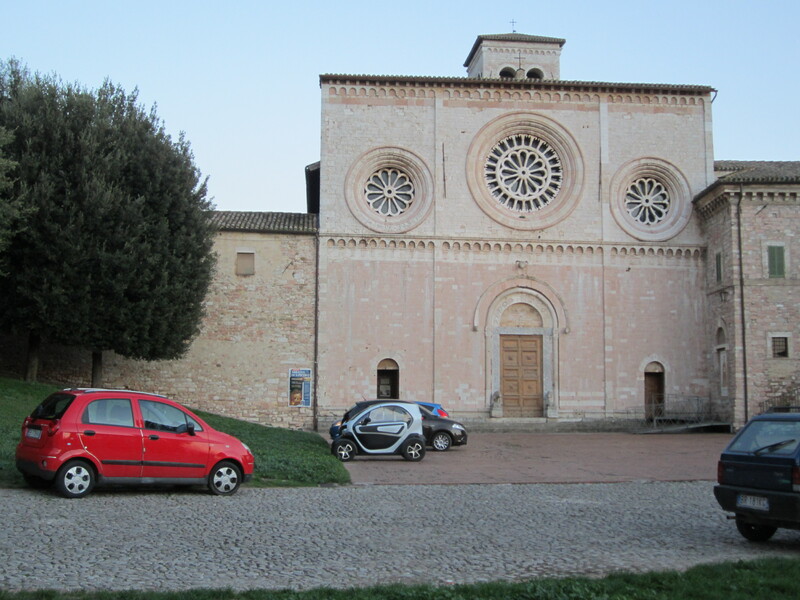 We visited the church St. Francis repaired and lived at and the churches were St. Clare and St. Francis are entombed, respectively. Wednesday was another long day. We departed the hotel at 7:30 AM for Pope Francis’ general Wednesday audience. St. Peter’s square was crowded over 140,000 people jammed St. Peter’s Square. 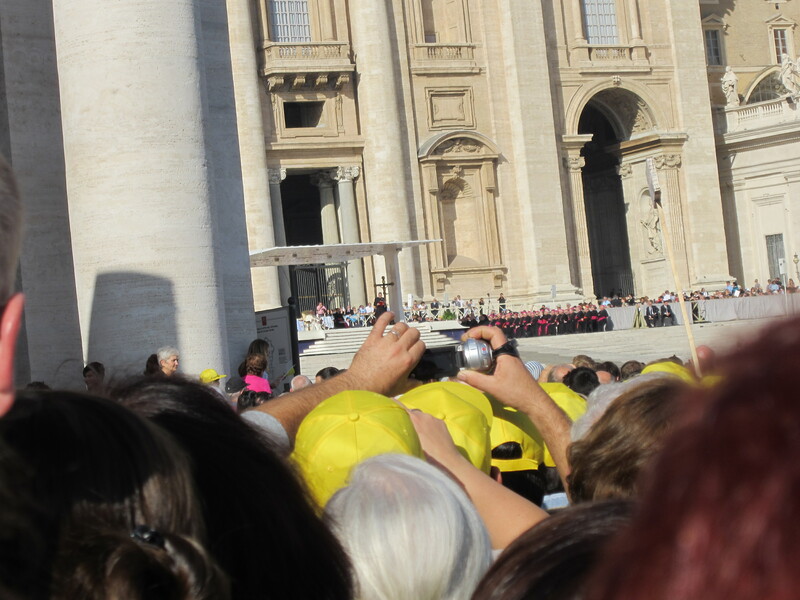 We were, however, able to see Pope Francis pass by in his Pope-mobile and could see him seated. 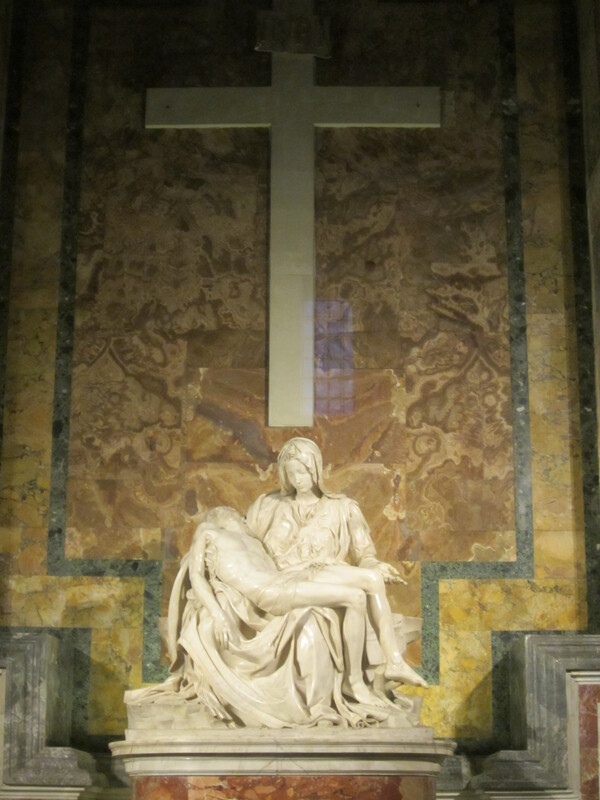 After the Papal audience, we toured the Vatican Museum and attended mass in St. Peter’s. 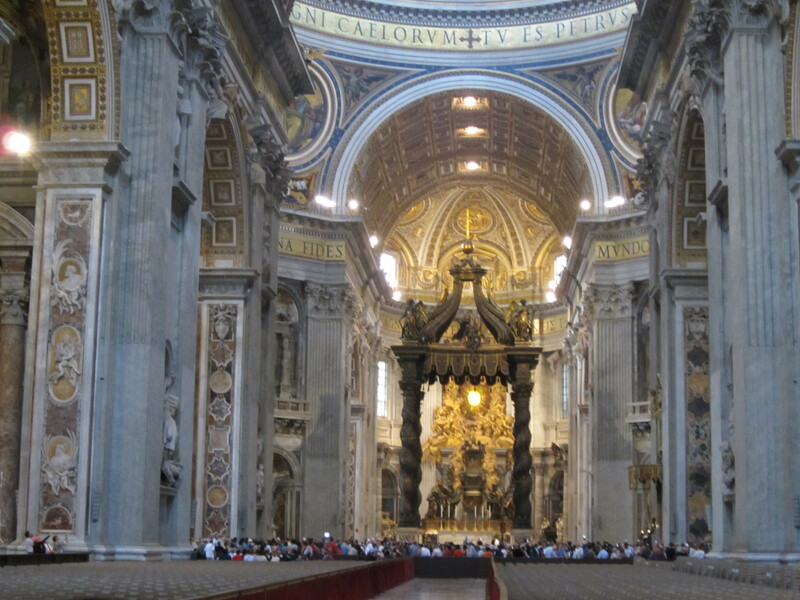 I was blessed to be able to sit during mass to next to the papal altar, immediately next to the burial site of St. Paul. This entry was posted in Essays, Pilgrimage. Bookmark the permalink. 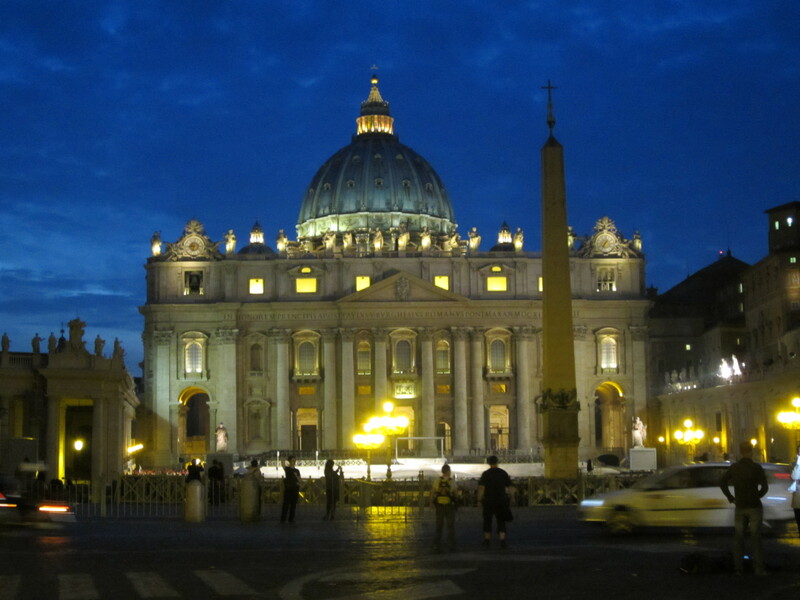 I would love to visit St. Peter’s but I sometimes wonder if it would feel very holy with crowds all around. 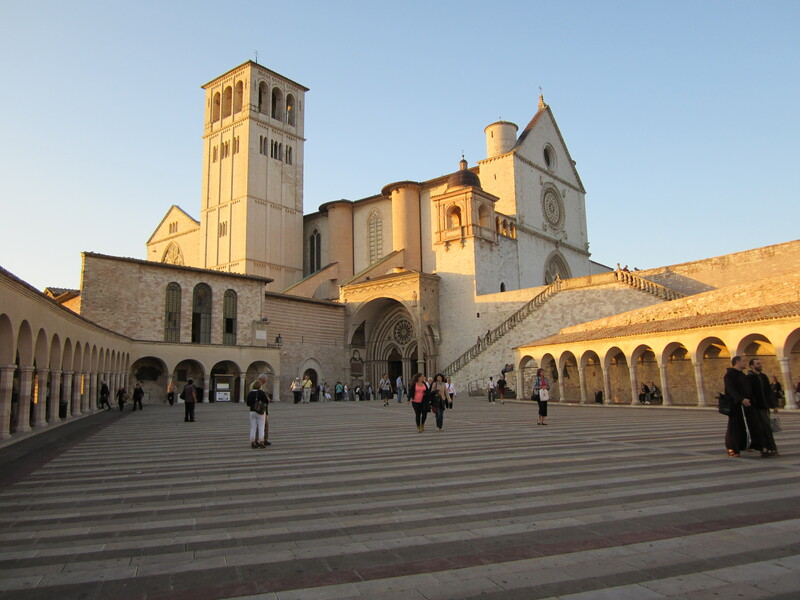 Assisi looks wonderful! 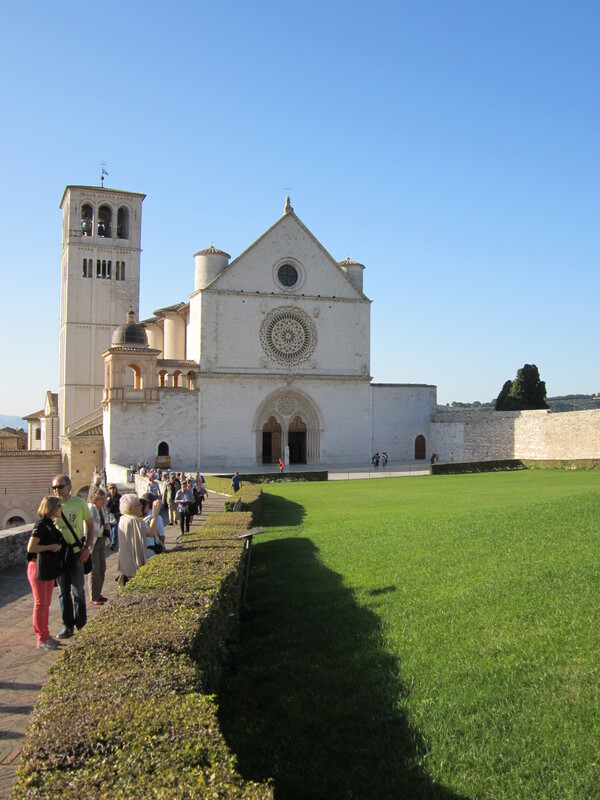 Assisi is wonderful, so beautiful, peaceful and willed with spirit of God and St. Francis. It is hard to holy with the crowds and the pushing etc. It helps to think of crowds that followed Jesus — many followed for the spectacle of Jesus and not because he Son of God, the Messiah. It helps to offer the it up and prayer for those who are there for the spectacle and not the worship and word of God. I have been to St. Peter’s when it is not crowded, when you go — visit St. Peter’s at different times (days and hours) throughout you day/week. That’s a good attitude to take toward the crowds.